Please consider a gift to FLC – your contributions ensure the preservation of farmland, natural areas, and waterways across our diverse region. CLICK HERE TO READ: FLC RECEIVES 1,000 ACRE TRACT IN ROANE COUNTY! In lieu of an online donation, feel free call or utilize FLC’s donation form and mail to us along with a check or credit card offering. Click here to print and mail FLC’s donation form. Friends of the Foothills – All donations to Foothills are welcome, including annual gifts. AmazonSmile Program – Amazon will donate 0.5% of the price of your eligible AmazonSmile purchases to Foothills Land Conservancy. Click here for FLC’s AmazonSmile page. Kroger Community Rewards – FLC is a participating non-profit with Kroger’s Community Rewards Program. Once enrolled, our supporters earn dollars for FLC every time they shop and use their Plus Card! Click here to register and type in Foothills Land Conservancy or the number VA513 when prompted. All participants must re-enroll each year to continue earning rewards for their chosen organization. Corporate Matching Gift Program – Many companies have a program which matches employee gifts to organizations like Foothills Land Conservancy. Some companies match gifts made by retirees and/or spouses. To arrange a matching gift and multiply your support to Foothills, check with your employer to see if Foothills land Conservancy is eligible to participate. FLC staff can assist with applicable paperwork and can provide our U.S. Federal Tax ID number (E.I.N.) upon request. FLC is a 501(c)(3) non profit organization and does not receive any financial assistance from local, state or federal governments. We rely on individual and corporate contributions solely to sustain our organization, land acquisition and stewardship funds. Gifts & Bequests – Please visit our Legacy Circle page to learn about ways you can support Foothills through donations and bequests of land, stocks, appreciated assets, life insurance, annuities and in-kind donations. 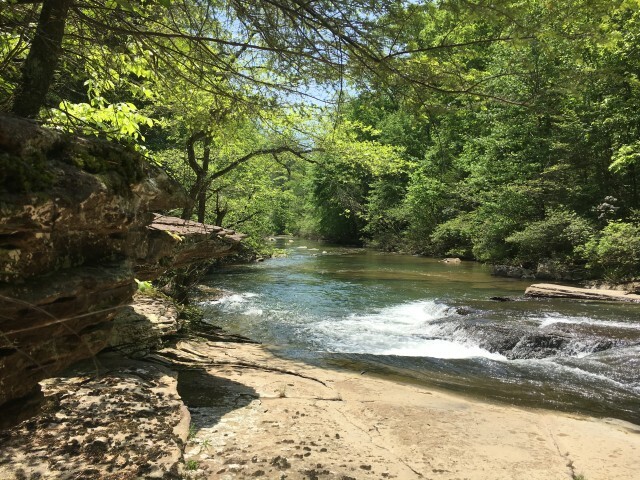 Foothills Land Conservancy is dedicated to protecting, preserving, and enhancing the lands and environments of the Southern Appalachian region and promoting the character of the land for the benefit of the general public, now and in the future. 2018 was another banner year for the Conservancy! A record number 48 land preservation projects were completed within 21 Tennessee counties and the 5 states of Alabama, Georgia, Kentucky, North Carolina and Virginia. Foothills’ land projects totaled close to 17,800 acres, joining over 110,000 cumulative acres FLC has assisted in preserving since the organization’s beginnings in 1985. Click here to read more about FLC’s 2018 land preservation projects. In 2017, our organization relocated to a permanent home on 300 preserved acres in Blount County, TN. Click here to learn about FLC’s new office at the Harris Farm. We also added new staff members. Click here to view their bios as well as the other staff members and our Board of Directors. The Conservancy is excited to announce that our organization received a gift of 1,000 acres in Roane County! Click here to read the details and what the plans are for this property. We could not have come this far without the support of our Friends of the Foothills! Thanks to your generous contributions, FLC is able to expand our preservation efforts across this diverse region. Foothills is a 501(c)(3) and does not receive any financial assistance from local, state or federal governments. We rely solely on individual and corporate contributions to sustain our organizational, land acquisition and stewardship funds. Click here to make an online donation to the Foothills Land Conservancy! No matter what time of year it is, please know that our door is always open to our Friends. We always welcome your questions, ideas, and resources to help us fulfill our mission of promoting, protecting and enhancing the lands of the Southern Appalachian region. Please call our office at 865-681-8326 with any inquires about FLC’s land preservation options. Thank you for being a valued Friend of the Foothills! P.S. 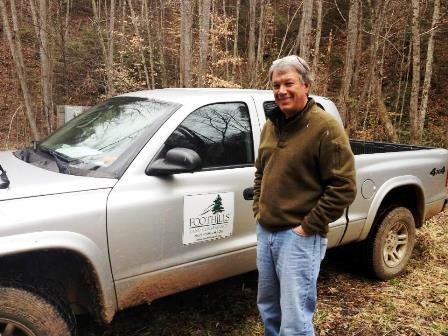 Refer a Friend – Do you know someone who might be interested in learning more about our efforts to protect Tennessee’s natural places? Please send an email with their contact information to info@foothillsland.org with the subject line Friend of the Foothills. We will be sure to send them a packet of introductory information about FLC on your behalf. Thank you for helping us grow the Foothills community!